Many homeowners who have lost all of the equity in their homes are making the decision to simply walk away from their home on a voluntary basis, even though they can afford to remain. Why would they do that? Because it is no longer economically feasible to keep the home when they can rent a similar home for much less. A recent Morgan Stanley report reveals that about 12 percent of all mortgage defaults are now “strategic” which is a great increase from mid-2007, when the level was only 4 percent. The report also stated that strategic defaults tend to increase based on how much more the borrowers owe in house debt over and above what their homes are worth. In other words, the worse the investment, the greater the chance the homeowner will walk away. What is the Technical Definition of a “Strategic Default”? According the Morgan Stanley analysts, a default is “strategic” only when the homeowners who hadn’t been previously delinquent were making on-time payments one month, then skipped them for the next three, even while staying current on other consumer debt of at least $10,000. If a homeowner stops paying the mortgage, he or she will often be able to stay in the home with their family for an extended period of time — all without having to make any further payments. In New York, which is a judicial foreclosure state, the foreclosure process now rarely takes less than a year. A good foreclosure defense attorney can often come up with genuine defenses, which, if asserted, can extend the time that the homeowner has in the house even more. 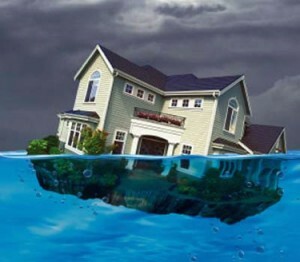 However, at some point, there will inevitably be a foreclosure sale at which time the lender can obtain a deficiency judgment against the homeowner in certain states such as New York, Florida and New Jersey. However, if the homeowner’s strategy is to file a Chapter 7 bankruptcy in conjunction with the strategic default, the homeowner can also discharge the deficiency debt. So if home ownership becomes more of a nightmare than a dream, remember that there are options out there.